James Francis Gill was born in 1934 in Tahoka, Texas. 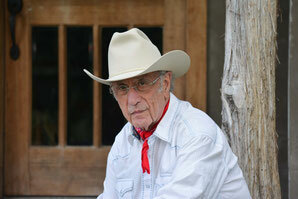 He left Texas in the early 1960s and moved to Los Angeles, California. Today he lives and works in Texas again. Gill is an important co-founder of Pop Art and is one of the last living artists of this movement. The support of his first gallery owner Felix Landau was important for Gill's early entry into private and public collections. Felix Landau was one of the most respected art dealers of the time, with galleries on the west and east coasts. Well-known print media, such as TIME Magazine, commissioned Gill to design their cover pages. Hollywood stars such as John Wayne and Tony Curtis were portrayed by him. During his stay in Los Angeles, his paintings and drawings were included in the collections of the New Yorker Museum of Modern Art (MoMA), the Art Institute of Chicago, the Whitney Museum of American Art, New York, and many museums on the West Coast. Large national corporations such as Mead Corporation and Time-Life Corporation bought his paintings for their collections. Shortly after the death of Marilyn Monroe in 1962, the Museum of Modern Art, New York added the Marilyn Triptych to its permanent collection. 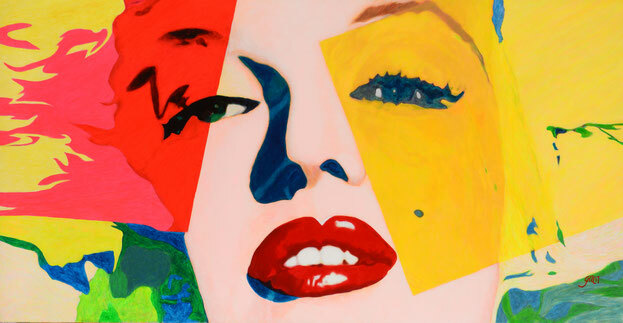 The Marilyn Triptych is an pivotal work in Gill's oeuvre. 1967, James Gill, along with artists such as Andy Warhol, Robert Indiana, Jasper Johns, Roy Lichtenstein, Robert Rauschenberg, Claes Oldenburg, and Edward Hopper, was selected to represent the United States in Brazil at one of the world's most important art exhibition, the Sao Paulo 9 Biennial.